Samson may not be the best-known company in the pro audio space, but it has slowly but surely been building itself up with a series of excellent products, like the recent Samson QH4 headphone amp, and the Samson Q2U “podcasting pack” — which is what we’re looking at today. 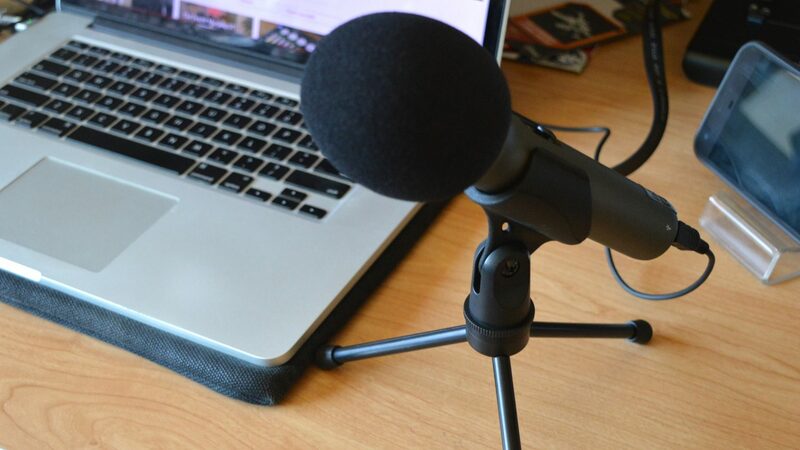 Podcasting and things like video game “Let’s Play” videos have grown in popularity a ton over the past decade, and as such it makes sense that companies would want to help consumers record and release their content. Audio Technica in particular has launched a few great desk-based USB microphones. But how does the Samson Q2U compare? We recently put it to the test to find out. The first thing you’ll notice about the Samson Q2U pack is its design. The pack is marketed as a “podcasting pack,” but in reality it’s just a USB microphone with related accessories — like a microphone clip and small tripod, pop filter, XLR cable, and a USB cable. You’ll also get Cakewalk’s Music Creator LE, though if you’re looking for a way to record your podcast for free we would recommend Reaper or another recording software. 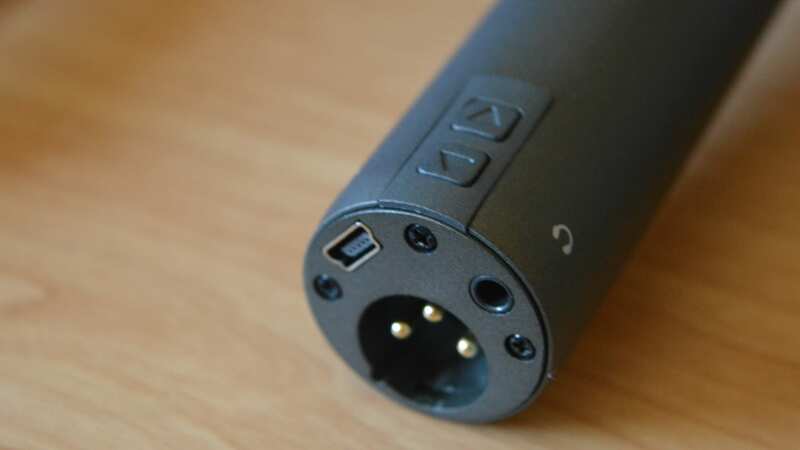 The microphone itself features a pretty standard Shure SM58 design, but on the bottom of the microphone you’ll find both an XLR output, and a microUSB output — which is perfect for computer-based podcasters and producers. You’ll also find a headphone jack — so the microphone is essentially a super-basic 1-input and 1-output audio interface. Towards the bottom, you’ll also find a volume up and volume down button, while in the middle you’ll get an on and off switch. The look of the microphone really isn’t bad — it seems to be relatively well-built, and has a classic design, though it houses decidedly more modern insides. 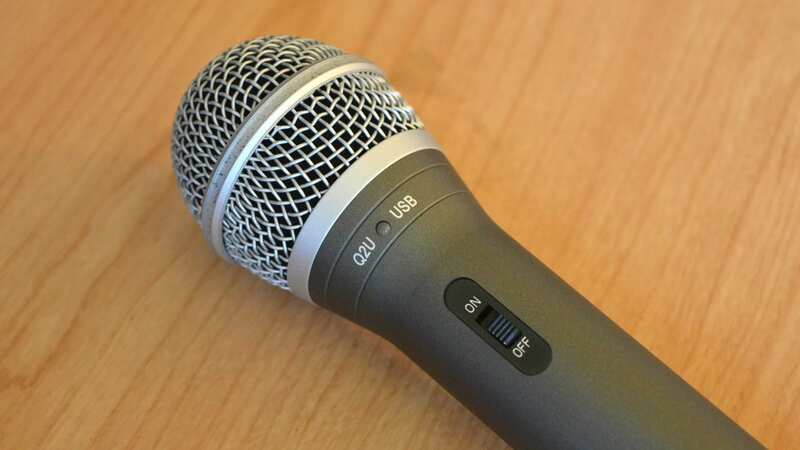 In general, the microphone is well-designed and well-built, and it’s easy to use too. The Samson Q2u microphone actually sounds quite good for spoken voice purposes. You may want to make use of the included pop filter to avoid wind noise, but in general the microphone is nice and deep while still present enough in the high-end. Now, it’s important to take this microphone for what it is. Would we recommend it for recording instruments? No, we wouldn’t. But for budget-minded podcasters and other spoken voice purposes, we actually really liked how it sounded. That’s not to say it’s perfect — to achieve a better sound we did employ the use of compression and EQ — but if you’re willing to tweak the sound a little using those tools, you may get quite a good sound from it. There is also a little noise to take into consideration, though honestly much less than we were expecting. In general, the Samson Q2U microphone hits all the right buttons for podcasters in the sound category. Don’t get this for recording vocals or instruments in a musical settings, but it’s tuned well for radio purposes. Samson has really hit a home run here. The microphone is not just well-built and designed, but it sounds quite good for what it’s built for too. The best thing about the microphone, however, is its price — the microphone comes at a great price of only $55, which isn’t bad at all. 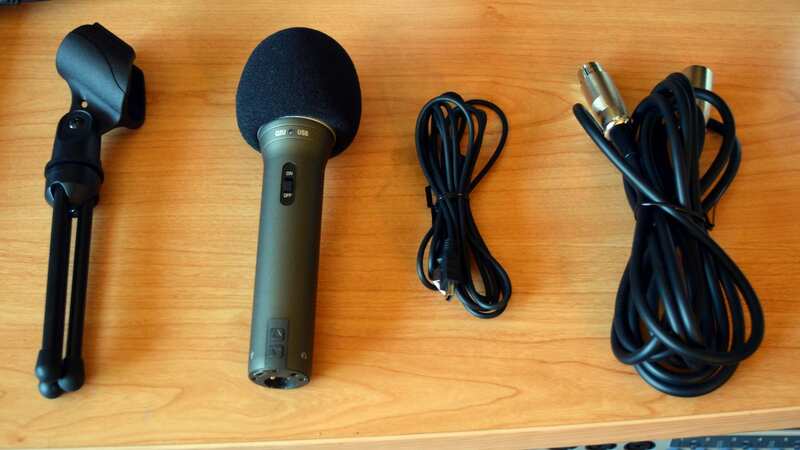 If you’re a podcaster or radio host and looking for a very cheap solution that sounds quite good and is easy to use. we recommend the Samson Q2U. If, however, you have a little extra cash, you may be able to do a little better.